28 August 2016: Four Hurricanes and other storms are active today worldwide! 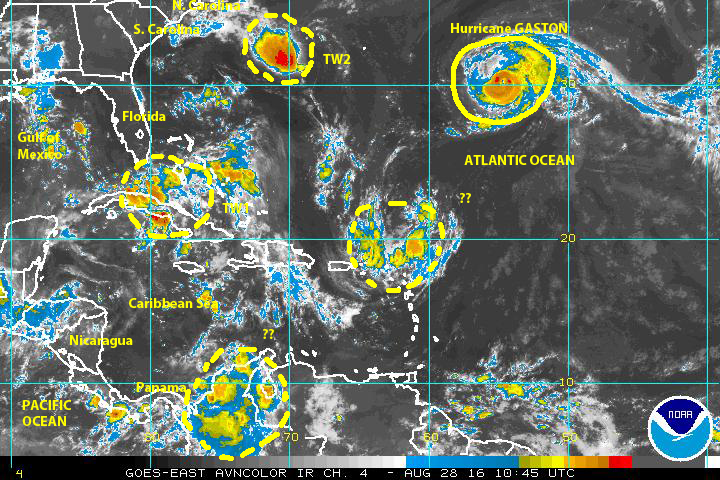 GASTON, once again a hurricane, is intensifying over the open central north Atlantic. 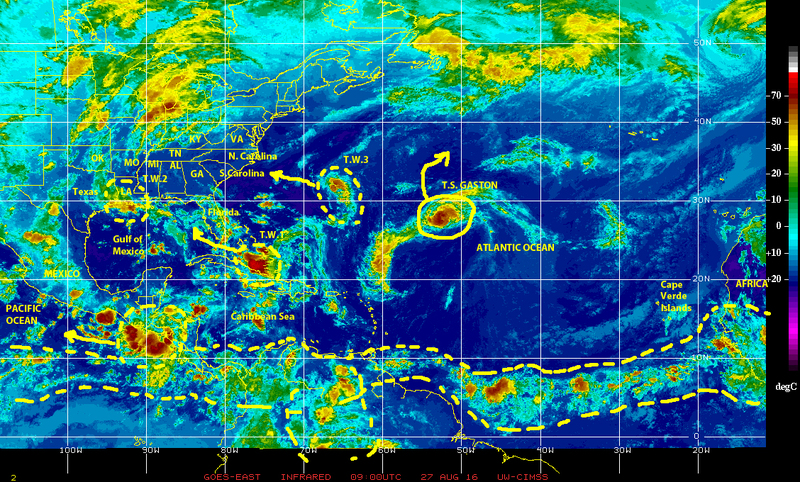 At the same time the long lived tropical wave over rather warm surface waters between Northern Cuba and the Northwestern Bahamas is somewhat better organized today as it continues to move toward the southeastern Gulf of Mexico. A large cell of disturbed weather, which appears of the verge of cyclonic development, is still moving toward the Carolinas coastline. 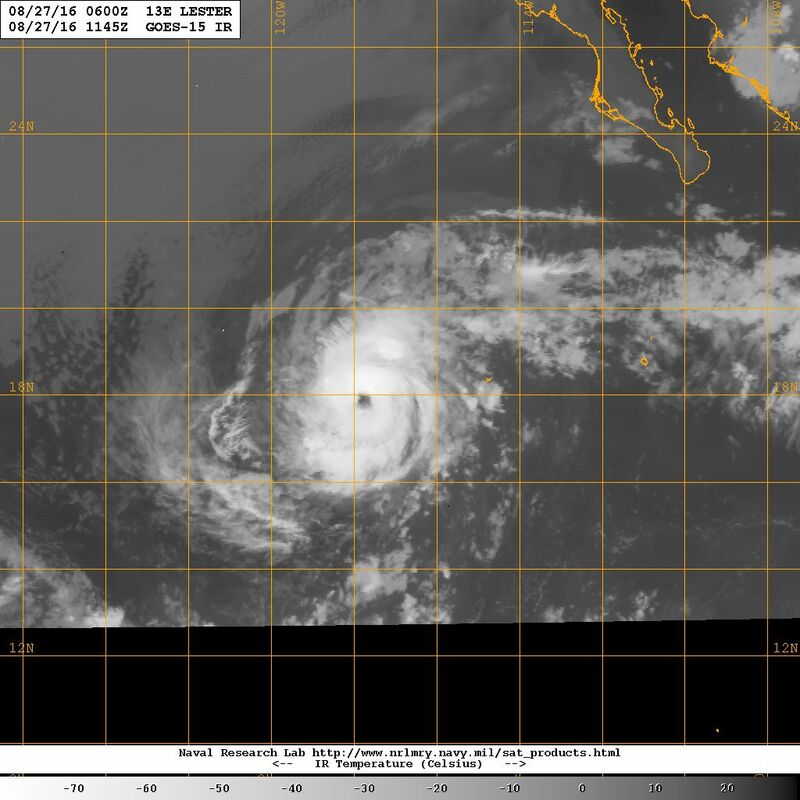 Over the east-central North Pacific, Hurricane LESTER is moving westward away from the Pacific coast of Mexico following Tropical Storm MADELINE, farther ahead, also moving west toward Hawaii. 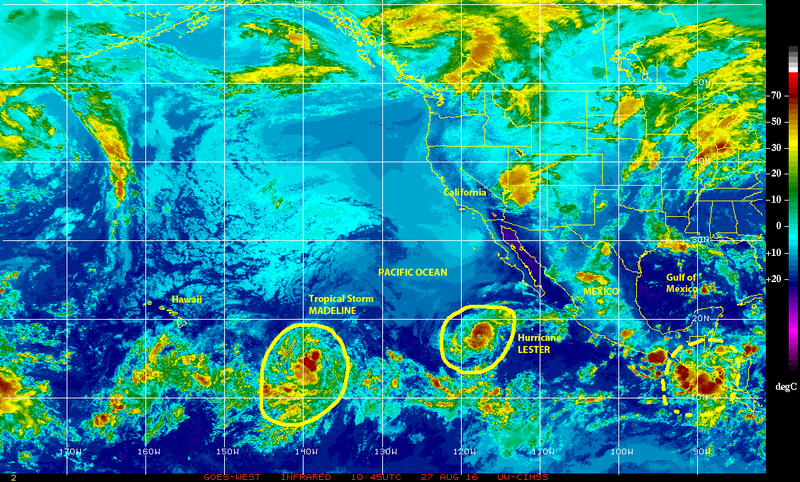 Together these two named tropical cyclones could pose a ‘double-whammy’ for Hawaii toward the end of this week. At the opposite end of the Pacific major hurricane LIONROCK, which has meandered for a few days, is once again pointing toward Japan. Beyond these named tropical cyclones, there are several tropical waves and cells of disturbed weather throughout the various ocean basins in the Northern Hemisphere and Equatorial Africa on this Sunday, 28 August 2016.